Happy customers always bring more customers with them. They will be further motivated to bring more customers with them if they get rewarded for doing so. It is needless to say that people are inclined to try a new brand if a friend recommends it. This is why running referral programs are one of the best ways to market products organically for any brand. The success of a referral program depends heavily on how well you can spread the word about the program. The more customers know about the referral program, the more successful the referral program will be. Getting in touch with the existing customers is the key to run a successful referral program.NeuroTags helps brands in connecting with the existing customers based on their geoLocation and type of products they bought from the offline market. The solution enables brands to connect with its genuine offline customers anytime. 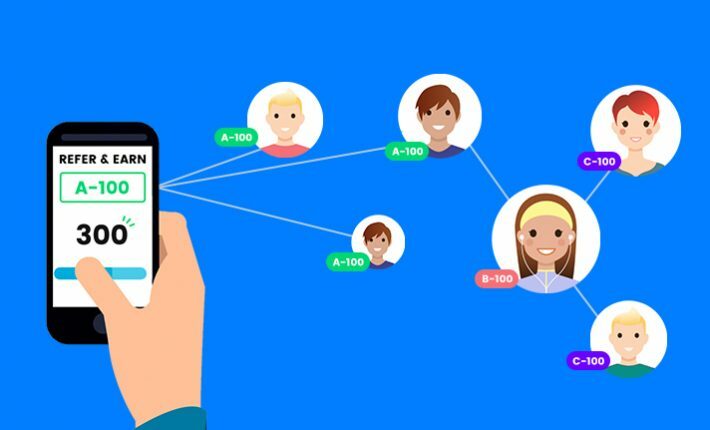 This feature makes NeuroTags one of the most efficient platforms to run the referral programs. NeuroTags offers tightly coupled pair of tags and contains – Open tag and Protected tag. 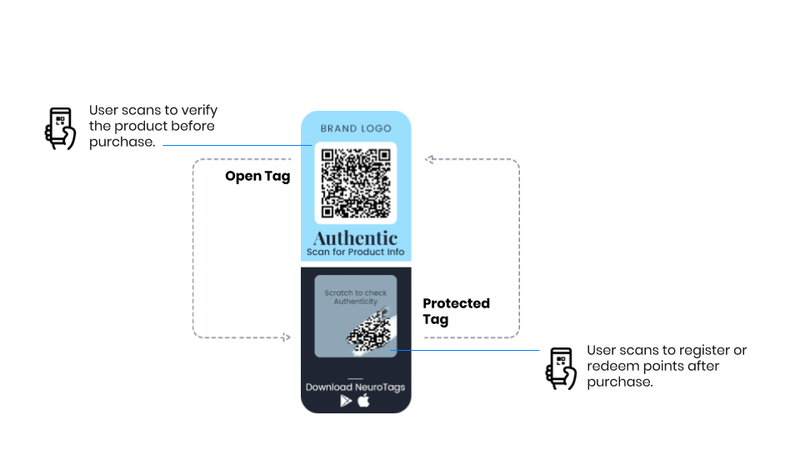 The open tag is more of a product information tag, and anyone can scan it anytime. Whereas, The protected tag can be opened/scratched and scanned only after the product has been sold. The product owner scans the protected tag to register or redeem loyalty points after the purchase. Brands can connect with its registered customers through SMS or email. They can send a unique code to each customer. They can ask their friends to use this referral code while making their first purchase. The existing customer gets reward points when a new customer purchases using the referral code. The good thing is – the referral program solution by NeuroTags is flexible and customizable as per each brand’s needs. If the success rate of a referral program is low even after making sure all the genuine existing customers know about it, the brand needs to review their marketing strategy and need to reach out to its customers for their feedback. After all, a happy customer is the best business strategy of all.